An overflow field of 15 will travel a mile and 70 yards in the $200,000 Lecomte Stakes (G3) at Fair Grounds on Saturday. The Road to the Kentucky Derby points event boasts a competitive field of sophomore prospects in what appears to be a wide-open endeavor. Homebred was a game winner on debut before finishing an even third in an allowance race on this surface last out. The well-bred colt gets a cozy post inside in the sizable field and surely has room for improvement making just his third lifetime performance. Strong maiden winner made good with an open-length victory in his local debut. This contender has speed near the rail in advance of his route debut and the colt could be leading the pack early on. Gelding is two-for-two on the Fair Grounds course in preparation of his stakes debut in this spot. This contender is proven going long with a pair of route races under his belt. The West Virginia-bred will be forwardly placed early on. Sophomore makes his seasonal debut coming off a fourth-place finish in the Breeders' Cup Juvenile (G1) most recently. The improving sort has trained swiftly in the interim and has to be considered an obvious contender in the big field. Late runner enters this as a maiden but ran his best when a sharp second at Churchill Downs in his 2018 finale. The longshot has a nice turn of foot and should receive a healthy pace in which to rally. Colt has failed to break through from two stakes races to date, but he ran a solid third in the Sugar Bowl Stakes in his first go around this oval. The closing type will have to prove that he can excel at route racing, though. Steadily improving sophomore passed a lot of runners when fifth in the Kentucky Jockey Club (G2) in his 2018 finale. The Kentucky-bred will be equipped with blinkers and could be a major player with improvement in this one. 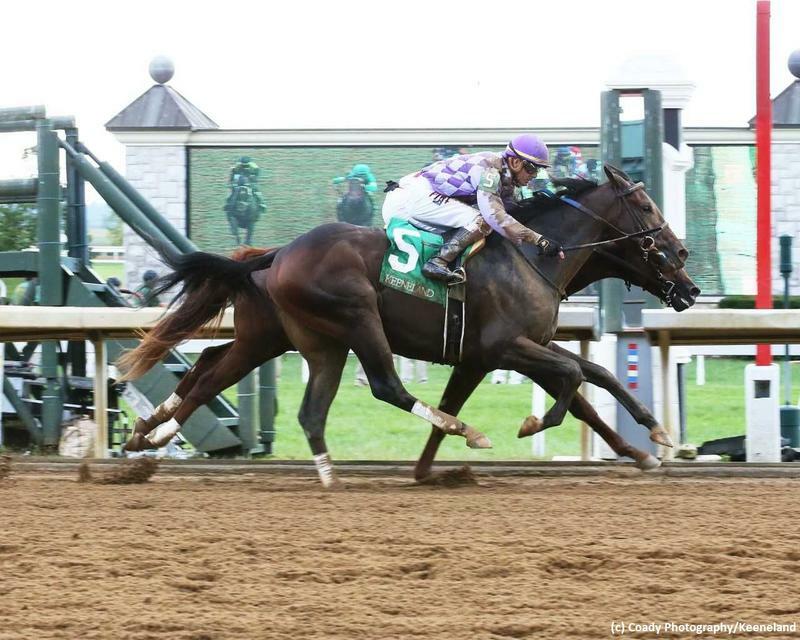 Talented colt looked the part in his dirt debut when dominating maidens at Churchill Downs. This fine prospect had very good form at two and will be a major factor in this one with any kind of forward move. This $500,000 yearling comes in with tallies in two races in succession, including an allowance tilt on this dirt surface most recently. The half-brother to Grade 2-scoring millionaire Neck 'n Neck earned a hefty 104 BRIS Late Pace figure last out and shows two positive morning drills since. Kentucky-bred ran down a clear one to graduate here last month and takes the big class hike to graded foes in this spot. The colt has shown improvement since removing blinkers, but he needs to get faster in his second route experience to make the frame in this one. Twice graded-placed colt never picked up his feet in the Breeders' Cup Juvenile (G1) in his 2018 finale, but his prior form makes him a contender in this field. This speedy sort shows seven morning drills in advance of his seasonal bow and will be forwardly placed from the wide post slot. The colt is a sure bounce-back candidate. Kentucky Jockey Club Stakes (G2) runner-up showed his talent and versatility when rallying in fine fashion following a slow break at Churchill Downs. The $135,000 yearling purchase has a fine foundation with four route races as a juvenile, and the ridgling put in a trio of local morning drills to get familiar with his surroundings. Consistent colt finished a closing second in the Sugar Bowl Stakes last out in his first start sporting blinkers. The capable Kentucky-bred had an ideal prep run for this contest and the colt figures if able to overcome the post draw. Expensive yearling buy was a smart maiden graduate going 1 1/8 miles at Churchill Downs last out and jumps up with graded competition here. The colt has trained forwardly since but gets hooked with the widest post in the cast. Second-timer would need a defection to draw into the field. The gelding led throughout in a facile maiden claiming conquer on debut here, but the Kentucky-bred would be a longshot if he gets in with the massive class rise.